For me, because of the technology that exists on today’s boards, the quality of the lighting rig, and massive improvements of the camera/filming technology, clearly if the 02 is ever released, from a sound quality and visual quality point of view, that would be the Holy Grail. For back in the day, the Ottawa Ontario Canada gig for me which I have yet to find. Shows from 1971 and 1972. That's the zeppelin prime. It always makes me happy when someone values my opinion! 07.02.1975 is TV news footage, not any pro-shot at all. There is a little bit of this footage after the show, where cameraman showing public... There's really nothing more than what we have. The pro-shot footage of Pontiac must be sitting somewhere in Jimmy's vault. Any bits from the rumored band documentary from 1970. Lets not forget the 40 second clip of the band in the studio recording LZ II that had been floating around some trading circles a few years ago. What's it with all the hype about that Zeppelin show? It seems to be just as good as any other 1977 show. And believe me that's not the only pro shot from 1977 that jimmy as, infact It's pretty hard to believe that a multi bilion dollar band wouldn't record all of their shows. Guns n roses recorded all of the three year Use your illusion tour from 1991 to 1993, so if they did that easily, I doubt that Zeppelin hadn't done it before. Jimmy has a lot more than what we think and even consider to exist in zeppelin terms. I actually believe that there are some 1973 stuff that he hasn't shown anyone, and there's definitly more stuff from 1975 to 1977 that is only available for private eyes. They were very popular and very rich and the "it wasnt practical" thing just doesn't feel right. None of the 1977 shows was multitracked. Only Seattle and Pontiac shows were pro-shot. Sorry, you're way off-base here. There's a big difference between recording or filming a tour for your personal stash and having it done professionally with an eye towards its eventual release. Yes, Jimmy may have a wealth of 8mm or 16mm film footage of the 77 tour stashed away...along with soundboards of every show. That is a far cry from having pro-quality stuff to release to the public. As has been said many times by me, badgeholder, the Rover, Nutrocker, and other 77 tour veterans, there were only two dates on the 77 tour where they had video cameras and video screens set up: Pontiac Silverdome and Seattle Kingdome. It's possible they would have had videos at the Tampa Stadium show but the storm nixed that idea. I think it is also safe to say that they probably would have had video screens set up for the New Orleans Superdome and JFK Stadium shows that were cancelled after the death of Karac Plant. 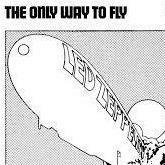 By the way, if you open your eyes, you would see the gigantic bulkiness of the video cameras Zeppelin used at those 77 Stadium shows; not exactly conducive to taking with you on a cross-country tour. It wasn't like the 90s and beyond, where you could videotape your gig with a handheld camera. So to equate recording the entire 77 tour with Guns n Roses doing the same on their 93 tour is absurd. Oh I didn't mean proshot. I meant like 8 mm and 16 mm tapes of the shows. I know that the pro shots were only took when they had giant screens to the benefit of the people in the back. I used GN'R because i thought it would be a good example to proove that very popular bands back then always had stuff up their sleeve, and excuse me if I refuse to believe that there's just nothing else live recorded that could be released by Led Zeppelin. C'mmon man, we're talking about Led Zeppelin!! I'm sorry if I offended you in any way, just expressing an opinion! Exactly...we're talking about Led Zeppelin, a band unlike any other and that didn't operate or do anything like other bands, or accede to what was considered the norm by the public or the industry. Led Zeppelin was sui generis. I am so happy for of the members on this forum who were able to attend the event in 2007 and can imagine just how exciting this all is. Thanks to an awesome friend on this forum for sending me those two CD's that I have almost worn out! Has anyone found the Ottawa gig yet? My personal "holy grail" is Fulton County Stadium in Atlanta May 4, 1973. The show my mother attended when she was 17. All I can find is a few pictures. And then there is that soundcheck that some say is from the Atlanta show, but I'm not sure... There just isnt much from the show otherwise. There HAS to be footage floating around somewhere. I just want to know so badly what that show was like. For me Bath Festival '70 - the gig which really broke them in the UK. I remember reading somewhere a guy was filming it when he was caught by Peter Grant and had water poured over his equipment - spoilsport! A 30 fragment with audio synced exists. including some footage of LZ in concert." Takes for singer Robert Plant (ex of Led Zeppelin) promo video. Plant sits in a chair going through notes, looks thoughtful, he has a perm. He writes in a book, a dog walks up and Plant laughs. He pretends to sleep. Another angle of the same, he looks upwards as if in deep thought. More shots of him sleeping. A woman takes his book away. Shot vertically down of Robert Plant answering the telephone. Another shot looking down at him in his living room. The woman comes down the stairs. Puts the dog out. Close up of the fire in the hearth. Woman shuts the curtains. "Film 32922 is a film which needs work on before running through the steenbeck to dvd and digitise and this will only happen when workload allows."